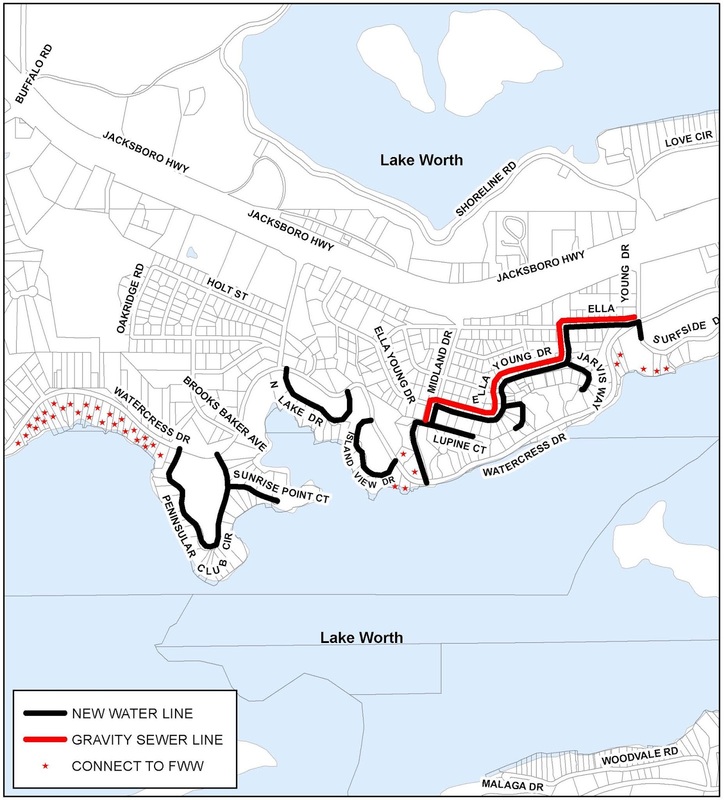 The City of Fort Worth Water Department is hosting the Lake Worth Water and Sewer Improvements Part 1 meeting on Tuesday, Oct. 2, at 6:30 p.m. at the Lake Worth Multipurpose Center. 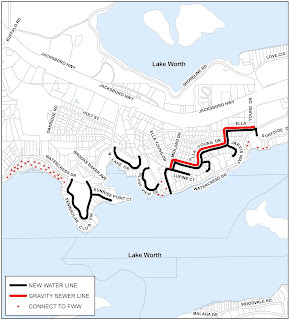 This project concerns the construction of water and sewer mains on the streets and easements within the Lakeside Certificate of Convenience and Necessity to allow Fort Worth to be the water provider to residents inside the Fort Worth city limits. The four neighborhood associations around the shoreline of Lake Worth have been working to implement the following security proposal. Many of the items, such as installing security barriers in strategic locations has been underway. Many items, such as policing, are still being worked on. Neighborhood meeting this Saturday. See you there! Here is the official notice of rezoning for the county land being annexed into the City of Fort Worth. Click on the image or link to view. Here is the settlement between Fort Worth and Lakeside. The documents include drawings and a description of which properties will go to what city. Here are my questions and answers from Jay Chapa, the Fort Worth Assistant City Manager. 1) Q. What is the status of the contract? What is the remaining contract timeline? A. We expect the construction contract to be placed on the October 25th city council agenda for consideration. Once the construction contract is approved and executed, a public meeting will be held to go over the detailed construction schedule. The total construction time in the contract is 730 calendar days. 2) Q. What is the estimated work timeline: (1) groundbreaking, (2) pipe installation, (3) grinder installation? A. 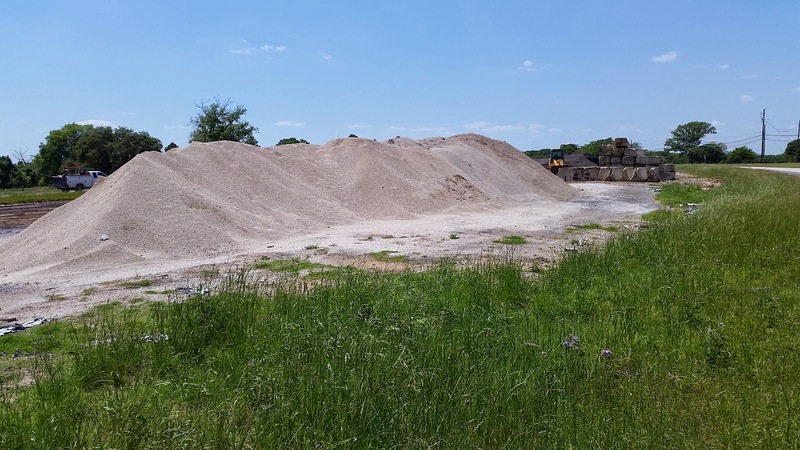 The detailed construction schedule will be reviewed with the contractor at a pre-construction meeting and then shared with the public at the public meeting. 3) Q. What are the costs to the residents? A. The charges from the City to the residents include a tap and impact fee – many of which have already been paid by the residents. Residents will also be required to have private side work performed, to include hiring a private licensed plumber and electrician for the work to connect and power the new grinder pump, pump out and deactivate the septic tank in accordance with ordinances and regulatory requirements, and potentially install backflow prevention assuming a private side well is not permanently abandoned at the time of connection to the water system. Costs for these private side work activities will vary, depending on the lot configuration, landscaping, and individual preferences. 4) Q. What kind of notifications should we expect? A. A public meeting will precede construction. At the public meeting, residents will be provided with a detailed listing of the requirements necessary to connect to the water and sewer lines, to include the necessary code inspections for the private side electrical and plumbing work. In addition, the Water Department will assign a staff member to both inspect construction and be a point of contact for residents during construction activities. Our field representative will also meet with customers to determine the exact location for the grinder pump to be installed. 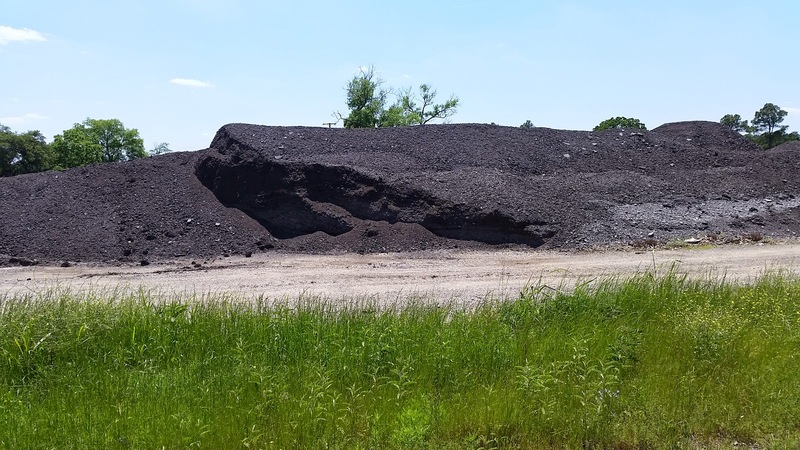 A notice will also be sent out when residents are able to make the connection to the public water and sewer. 5) Q. How is water and sewer going to be coordinated? Same or different times? A. We plan on reviewing the detailed work schedule and work activity coordination to be submitted by the Contractor prior to the pre-construction conference. This schedule and work activity coordination will then be shared at the public meeting. 6) Q. What about the four homes by the pump station? Are they going to be connected at the time of Love Circle or when the Watercress work is to be done? A. Connection of the four homes in the vicinity of the lift station to city sewer is not included in the Love Circle project. Connection of these houses to sewer in the future will be performed by a separate project. Saturday (October 1st) at Noon, the Scenic Shores Neighborhood Association held its annual neighborhood association meeting. We reviewed the important issues that affect Lake Worth and our neighborhood. This Saturday (October 1st) at Noon, the Scenic Shores Neighborhood Association will be holding its annual neighborhood association meeting. We will review the important issues that affect Lake Worth and our neighborhood. This will be your opportunity for you to hear what's going on and to ask questions. Horrifying Stats on Hwy 199's "Death Zone"
These are not "just numbers." They are horrific family tragedies. Let's get Hwy 199 rebuilt and put an end to this unnecessary pain. LAKE WORTH - On a rainy day nearly four years ago, Azle resident Robert Spracklen was driving his pickup eastbound toward Lake Worth on Texas 199 when a westbound driver lost control of his vehicle and spun into Spracklen’s lane. “He was already facing in reverse when he hit me. He jumped over that itty-bitty, two-inch-tall median and hit me broadside,” said Spracklen, 50, a maintenance manager for a large company who has been disabled since the March 10, 2012, crash. The collision on Texas 199, also known as Jacksboro Highway, left Spracklen with back and knee injuries that have required numerous surgeries. I DON’T WANT ANYONE ELSE TO GO THROUGH THIS. YOU’RE MAKING A NICE LIVING IN LIFE, AND ALL OF A SUDDEN ONE DAY YOU’RE NOT ABLE TO. Nonetheless, he was thrilled Tuesday to hear state officials discuss their plan to improve safety on 6 miles of the Texas 199 corridor, including construction of a taller median barrier to prevent head-on collisions in the same area where Spracklen was hurt. The Texas Department of Transportation is committing to making a series of improvements to the area, which extends from Farm Road 1886 (also known as Confederate Park Road) near Azle south to Loop 820, where Lake Worth meets Sansom Park and Fort Worth, an official said. During the spring, the agency will install concrete median barriers west of the Lake Worth bridge to prevent head-on crashes, said Brian Barth, the transportation department’s Fort Worth district engineer. He said that work, as well as possible improvements in the median areas east of the bridge, will be covered from the agency’s routine maintenance funds. Barth said he didn’t have a specific cost for the short-term work but thought it would be minimal — mainly limited to the cost of concrete needed for the barriers — because the agency can use its maintenance staff to fix the medians rather than pay a private contractor for labor. Then, thanks to new funding sources in Texas, Barth said, the long-awaited completion of freeway lanes from Farm Road 1886 to Loop 820 will likely be built beginning in 2017 or 2018. That project is expected to cost roughly $90 million. And a full redesign and reconstruction of the Texas 199/Northwest Loop 820 interchange could be built as soon as 2020. That project could cost $210 million, depending upon redesign costs and other factors, officials said. Those projects have been on the drawing board but delayed for years because of the state’s lack of highway revenue, Barth said. THIS AREA RIGHT HERE WE CALL THE ‘DEATH ZONE.’ IT HAS BEEN INFAMOUS FOR ACCIDENTS, FOR MANY DECADES. The new funds will come from a combination of sources, said state Rep. Charlie Geren, R-Fort Worth, who attended a press conference along Texas 199 on Tuesday to discuss the plans. Geren faces challenger and family friend Bo French in the March 1 Republican primary. The sources include Proposition 1, which was approved by voters statewide in November 2014 and allows for a portion of revenue from oil and gas activities to go toward road work, as well as Proposition 7, approved by statewide voters a year later that allows for a portion of general sales tax and motor vehicle sales tax revenues to go to highways, Geren said. And finally, some money likely will come from the Legislature ending its longstanding practice of diverting highway funds to other state programs. The ending of diversions is expected to bring in $1.3 billion. Earlier this month, officials announced that some of that money would be used to improve Texas 199 just south of Azle. For residents who live a few miles south of Azle, in the Lake Worth area, the improvements can’t come soon enough. At least four serious accidents have occurred during the past two months, Dallas said. He said that in addition to the dangers at the Lake Worth bridge, many accidents occur at the intersection of Texas 199 and Surfside Drive, less than a mile to the north. Jacksboro Highway (TX Hwy 199) at Lake Worth is exacting a toll on the community with enormous hazards and economic bottlenecks. In the three videos below, Michael Dallas discusses the issues. The full report submitted to our leadership in Texas is found below. Click here for Google Docs version for printing. Three major “death” locations on Jacksboro Highway (TX Hwy 199). 1) A deadly westbound curve entering the bridge from the east, 2) a deadly eastbound curve entering the bridge from the west, and 3) a dangerous intersection long overdue for improvement. Death Trap 1 - Ridiculous TXDOT lane design. The eastbound lake of 199 prior to entering the Lake Worth bridge contains three design failures which create injuries and death. The TXDOT design failures of this area include sharp curves, poor tilt of the road, and a “deadhead” barrier unnecessarily jutting at oncoming traffic. Death Trap 2 - Dangerous curve on west side of bridge with no barriers. Deaths, injuries, and close calls occur regularly on the westbound entry to the Lake Worth bridge where pposing traffic is separated by a 4” high slab of concrete. Death Trap 3 - Dangerous intersection long overdue for improvement. The intersection of Jacksboro Highway (TX Highway 199) and Surfside Drive represents the “worst of the worst” in intersection design. Heavy traffic loads, high speeds, access roads on a non-raised highway, stop sign conflict with light, and enormous driver confusion make this intersection of the worst in Texas. Drivers at this intersection continually risk sudden death from just waiting for the light to change. 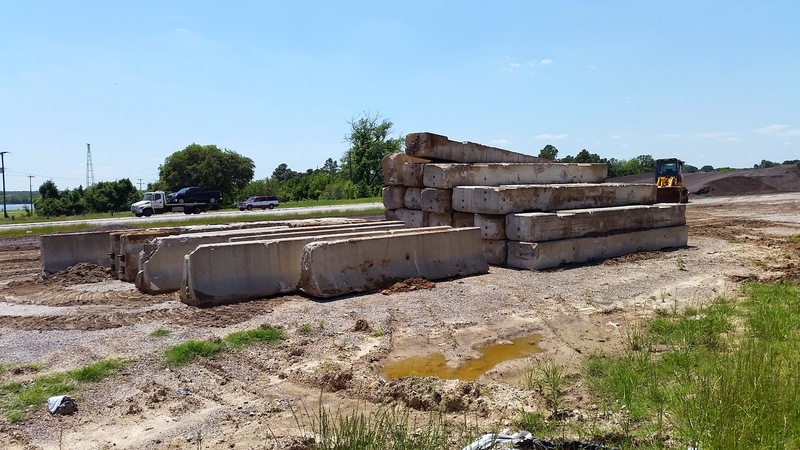 Several community redevelopment efforts - both public and private - are being held “economic hostage” to the insufficient improvements at the intersection of Surfside and Jacksboro Highway (TX Hwy 199). Redevelopment projects which would exponentially increase the traffic flow through this intersection cannot be pursued until the intersection is improved. 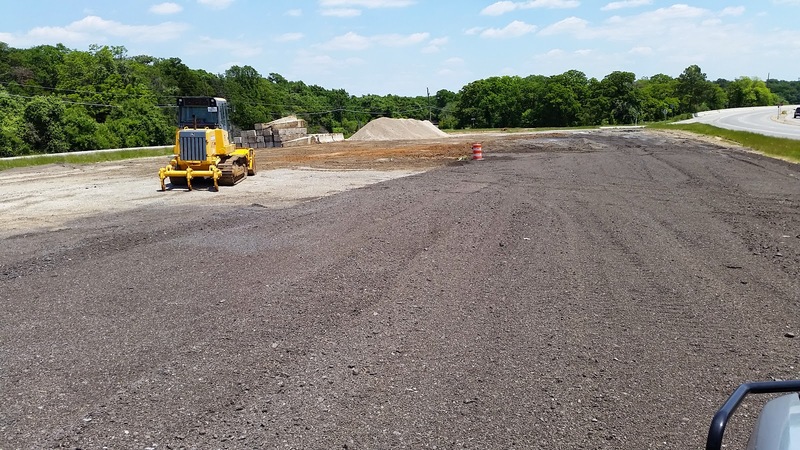 The City of Fort Worth is in the process of annexing the (“ETJ”) along the Jacksboro Highway corridor as well as installing services of water and sewer. High quality private development will require that the intersection of Surfside Drive and Jacksboro Highway (TX Hwy 199) be adequate to accommodate significantly increased traffic flows. The Town of Lake Worth currently snarls traffic both directions with numerous traffic lights over the two miles of Jacksboro Highway (TX Hwy 199) that runs through it. These delays exact enormous economic costs in terms of driver time and fuel waste. Jacksoboro Highway (TX Hwy 199) is heavily used and has become inadequate for current growth. Explosive growth is overwhelming the road. Counts in 2013 by TXDOT indicate over 70,000 cars flow through this stretch of TX Hwy 199 each day. There are only two routes from Fort Worth to the area west of Lake Worth and Eagle Mountain Lake - Silver Creek and Jacksboro Highway (199) with Jacksboro Highway carrying the vast majority of the load. Enormous development is proceeding in this area increasing traffic exponentially. 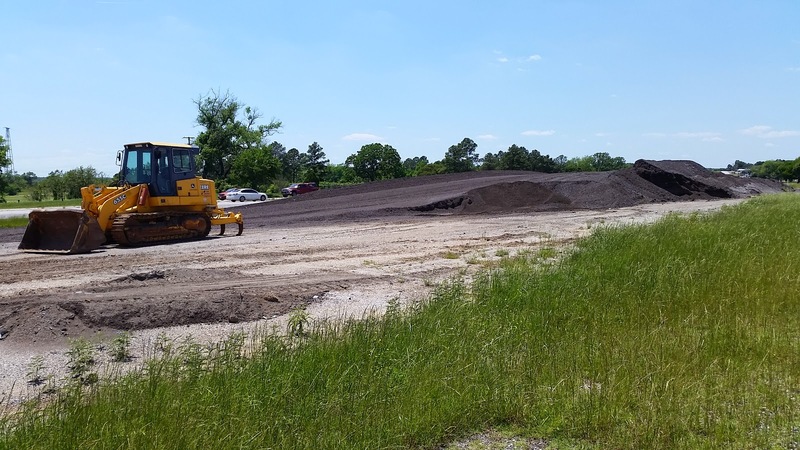 Buildout the planned raised highway overpass and exit ramps at Surfside Drive (i.e. get rid of traffic light intersection). Install barriers between opposing traffic on the deadly curve on west side of the Lake Worth bridge. Mitigate the issues on the west-bound curve entering the Lake Worth bridge from the east side of the lake. “Straighten” entry to the bridge and eliminate hazardous curve. Change configuration of traffic barrier so that it does not “deadhead” directly into traffic. Fund and finish existing raised highway plans from Loop 820 through the Town of Lake Worth and westward. Installation of safety wall in center of Jacksboro Highway bridge. 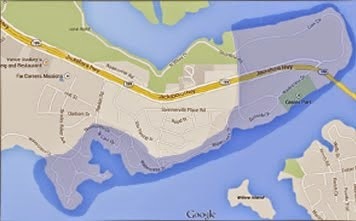 Casino Beach Traffic on Watercress - Casino Beach Project cancelled. Installed irrigation and planted 65 trees in Jan 2014. Planted 120 trees in 2015. Funding secured in 2015 for improvements (jogging trail, etc.). Work scheduled to begin in 2016. Light levels can be easily modified so that just enough illumination can be provided to observe activity in the park without creating a lighted parking lot’ effect. Park encircled with cabling for reduced access to motorized vehicles. Phase I construction from end of Trinity Trails in River Oaks (e.g. “Burger’s Lake”) to Arrow S Park will begin August 2016. General estimate of completion of trail around the lake is 2018 to 2019. Watercress (e.g. Peninsula Club Circle, Island View, etc) - Fort Worth has completed installation of water main. Fort Worth is waiting to connect residents until resolution of Town of Lakeside dispute with Fort Worth over annexation of the Ella Young Addition. Sewer installation estimated to begin in 2018. Fort Worth is 3 years into the process of annexing the area. 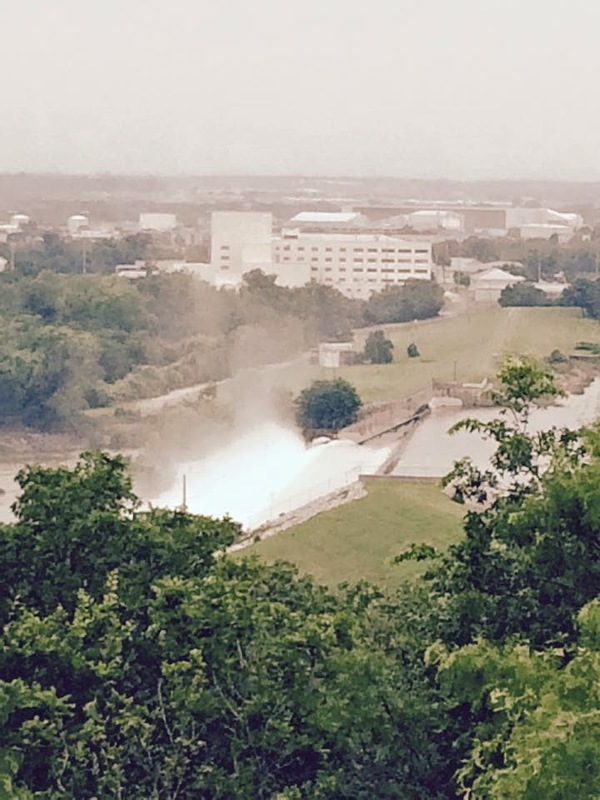 Currently, Fort Worth is suing Lakeside for a preemptive illegal annexation. Fort Worth expects to complete annexation in 2016. More work needs to be done to finding agreement between neighbors to create action plan. 6) Crime Fighting Efforts - Working toward a comprehensive plan. Purpose of plan: To implement a set of achievable, measurable, and economically feasible goals to enhance the security and safety for lake residents and lake guests. Security issues: In addition to crime issues common to the entire city, the lake experiences an additional layer of issues. These issues include the vandalism and dumping issues to the extensive park properties, theft of water-specific equipment such as boats and tackle, drowning and injury from lake use, and the increase of all types of crime due to the numerous guests who visit the lake. These issues not only affect the residents of the lake but also the guests who wish to enjoy the lake. For the safety of all citizens, the security in and around the lake is critically important. Unify park hours around lake - The FWPD has requested that all parks around Lake Worth share the same hours. In its current hodgepodge state of widely varying opening and closing times, policing the park hours is difficult if not impossible by beat patrols. By having all lake parks enjoy the same hours, policing the park hours becomes an efficient and doable task. Fencing / cabling - Fencing and cabling could be used in a variety of ways including discouraging lake guests from infringing on private property, reduce illegal dumping, and to control traffic damage to natural areas. Park hours signage - Clearly marked park hours will help policing of the area and reduce undesirable activities which could result in injury or crime. “On lake” and park location markers - Clearly marked “location signs” would help guests and residents communicate with law enforcement as to the specific location needing service. Location markers would be put in strategic locations in and around the lake. New park infrastructure - New park improvements should be considered in locations heavily used by the public but which currently lack adequate infrastructure for such use. Proper infrastructure reduces environmental damage and promotes safety. Evaluation of policing resources - The Fort Worth city government currently expends policing resources for the security of lake residents and lake guests. A fresh evaluation of these resources could result in more efficient use of resources and a corresponding increase in security. Issue 1: Two police beats - The lake currently is broken into two police beats. Each beat covers not only the lake but also wide swaths of the city. Issue 2: Lake Marshal - A “lake marshal” currently offices on the shoreline. Once funded by land leases, the lake marshal now finds itself with little or no revenue since the leased land has been sold to lake residents. Moreover, the Marshal’s authority for patrol has waxed and waned between patrolling only the water, to patrolling the land and water, to not patrolling at all. Issue 3: Confusion in policing - Given the fact that the lake is separated from the main portion of the City of Fort Worth by several communities as well its general rural setting, policing has suffered from confusion. Emergency 911 calls frequently are routed to the wrong municipalities and police frequently cannot find addresses. Unify policing resources for a “lake beat” - By having a single “lake beat,” issues occurring around the lake can be addressed by a single unified patrol rather than a divided one. This would increase the efficiency of finding addresses as well as understanding patrol issues unique to the lake. Unify land / water lake patrol - Many policing issues cannot be neatly divided between “water” and “land.” For example, theft, drowning, and safety issues frequently move from shore to lake to shore. Allocate the property equipment and trained personnel to address the issues unique to the lake. Schedule policing for peak guest times - Like other specific areas of the city, the lake attracts a large number of guests. Allocating resources during peak visiting times would save resources by applying them when needed most. Given the seasonal and weekly nature of the lake’s guests, patrolling primarily should be scheduled for warmer months, weekends, and holidays. Normal residential levels of patrolling should be adequate when fewer guests are at the lake. Improve communication between police and neighborhood members - Create a better strategy for 911 callers to identify their locations. People frequently ask "how high can the water go?" There are several answers to this question. To understand the "elevations" of the lake, we first need to talk about the dam. While the top of the dam is at 594 feet above sea level, the original 1914 design drawings called for the crest elevation (the highest water) to be 606.3. In 1997 the crest elevation of the dam's embankment was raised to 609.5 ft. so that the spillway could pass the probable maximum flood without the dam's embankments being overtopped. The lake has never come anywhere near the 609.5 level. According to some records, the highest crest was in 1990 when the lake reached 598.7. At the 596 level, many docks are underwater and some of the homes on the lake are near to getting water in them. If you live on the lake or are considering a purchase, you should understand the possible implications of high water. It's not a matter of "if" but "when." Dear Charlie Geren - PLEASE HELP! TXDOT is trashing our neighborhood! 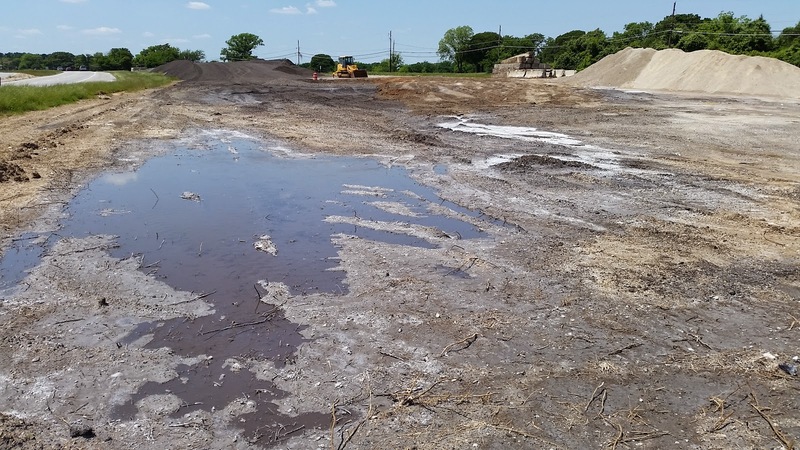 5/8/2015 UPDATE: TXDOT says they will have the site cleared by "mid-Summer." TXDOT said they wanted to continue using the site on a "temporary basis." 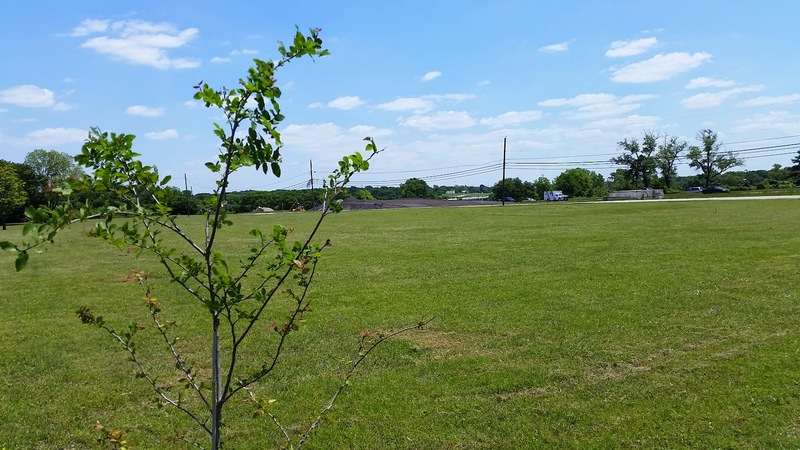 The neighborhood clearly communicated to TXDOT, Charlie Geren's office, and Dennis Shingleton's office that the neighborhood will vigorously oppose any further industrial use of the site - whether the use is permanent or "temporary." Over the past decade, the neighbors around Lake Worth have put enormous effort into revitalizing the area. Things we have accomplished: $20m dredging of the lake, $80m water and sewer projects, $18m bicycle trails around the lake (underway), numerous park improvements. One historic park, Love Circle Park, has been the focus of enormous effort. Eight years ago, the park looked derelict. Over that time, we have cleaned the park of debris and planted 200 trees. A jogging trail is scheduled to be installed in 2016. 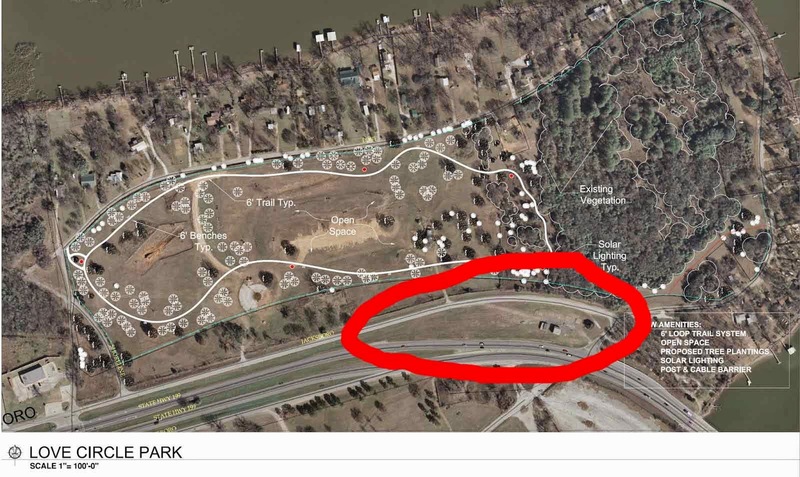 However, during that time, TXDOT has increasingly used the highway easement adjacent to the park as an industrial staging area. TXDOT's activity is undermining our neighborhood's efforts at revitalization. The TXDOT mess on the highway communicates to the public that no one cares about the neighborhood. This is not true. We now respectfully ask the Honorable Representative Charlie Geren for help. We ask that he instruct TXDOT to cease from using our neighborhood as a staging ground. Remove the equipment. Remove the gravel. Remove the barriers. Return our neighborhood to us. With all due respect to TXDOT and its important functions, this is our neighborhood. We care about it. Above, I have included a video. Below, I have a map with the TXDOT area circled in red and pictures of the mess. (The area is just west of where Jacksboro Highway crosses Lake Worth.) As you can see, when the satellite picture was taken, there were only a couple of objects there. Today, the area now looks like a full blown industrial site. Not only is this area in a neighborhood, it represents the "Gateway to Lake Worth." With 50,000 people going by this each day, this area creates the impression most people have of the lake area. This mess is the first impression for anyone visiting the lake or the the Fort Worth Nature Center. Here is beautiful Love Circle Park, just behind the TXDOT mess.